Both players must Set Spell Cards before activating them, and cannot activate them until their next turn after Setting them. In Yu-Gi-Oh! Duelists of the Roses, this is an Equip Spell Card for Plant monsters. 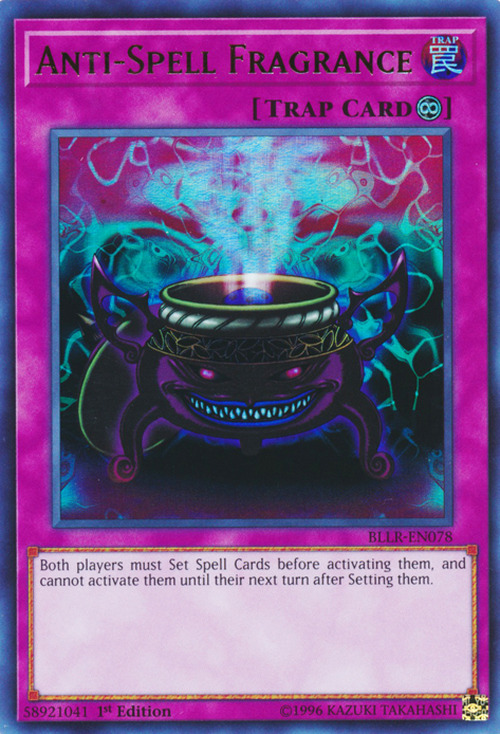 While the effect of "Anti-Spell Fragrance" is being applied, you can still use Spell Cards in your hand for a cost. : While the effect of "Anti-Spell Fragrance" is being applied, can you use Spell Cards in your hand for a cost? The "use" in this card's text means "activate". So you may discard Spell Cards from your hand for the cost of other cards.